An optional parameter must be an input parameter. It can’t therefore be modified by the out or ref keywords. 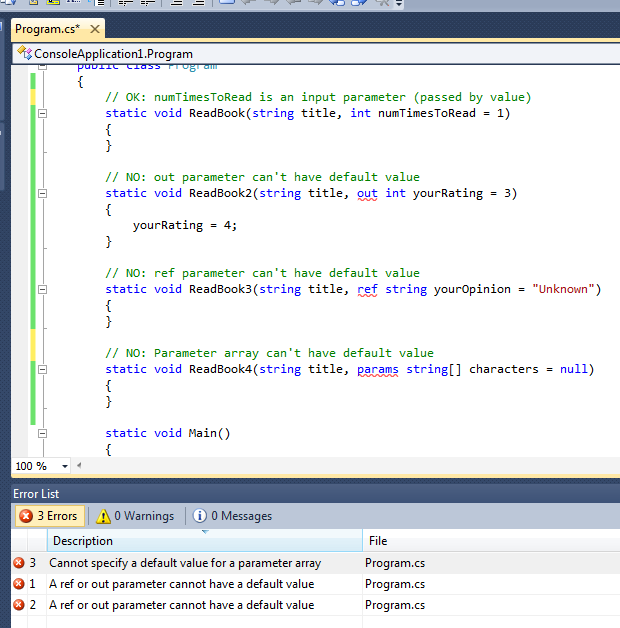 An optional parameter also cannot be modified by the params keyword.